"It was a bad sign showing the country and the government is in chaos"
Images of a fireball streaking towards Earth were captured by people in Bangkok, Thailand and have exploded across social media. The thunderous object roared across the sky, vivid even in broad daylight. “It was the middle of a blue sky day and there was a quick, bright light coming down,” said Porjai Jaturongkhakun, a satellite engineer who recorded the event from a camera on his dashboard as he drove to work. The meteor flew across the sky around 8:30 in the morning so many people were able to capture pictures and videos of it. “I usually see shooting stars at night but I have never seen one in the day before,” said Jaturongkhakun. The meteor coincides with the timing of an asteroid apocalypse predicted by various conspiracy theorists. For a country that has many deeply held superstitions, the fireball is widely considered a bad omen. “It was a bad sign showing the country and the government is in chaos,” said Dilok Jantaradilok on Facebook. 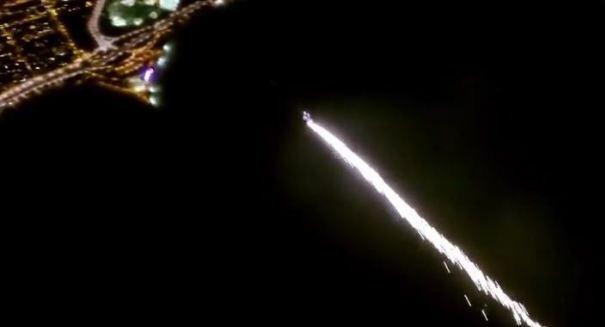 Thailand’s Astronomical Society has reported that the event was a rare ‘bolide’- an exploding meteor. “This is a natural, normal phenomenon because small meteors fall to earth every day but what we saw was similar to one over Chelyabinsk in Russia two years ago,” said Society president Prapee Wiraporn. She is referring to the 10,000 ton meteor that exploded over Russia in 2013 that injured thousands of people. This Thai meteor does not seem to have hit the ground.